This is where it starts for all operational team members. Our Ground Search Unit has been the mainstay of Essex SAR since our formation in 2002. Ground Search teams are deployed on almost all callouts, a team consisting of a Team Leader, Radio Operator, First Aider and qualified Search Technicians. Every new member must complete their training in Ground Search skills (a four month process) to enable them to become a qualified Search Technician and being deployed on operations. All team members must continue to demonstrate their ground search skills are up to scratch on a regular basis. 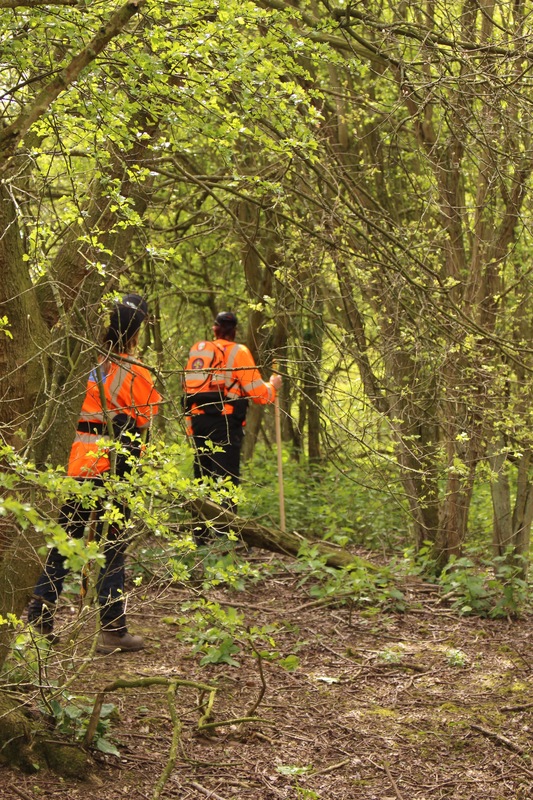 Ground Search teams can be deployed in both urban and rural areas, and will spend from one to six hours searching woodland, fields, parks, river banks and similar environments. The teams are deployed at any time of day or night, and in any weather, and must be self-sufficient regarding equipment, food and water. The other specialist units complement the Ground Search Unit, so that between them the units can provide the most speedy, comprehensive and effective response to callouts. Any team member wanting to add to their skills by joining one of the other specialist units (Water, Bike, K9 or Air) needs to first spend at least 6 months with the Ground Search Unit after qualifying to put into practice what they have learned and to gain operational experience.